London is Mosaic’s most established region, having been launched in November 2007. Managing Director of We-Q Collaborative Intelligence Varinder has been a mentor with Mosaic since 2012 and became chair of the London & South East Regional Leadership Group in 2016. His principles align strongly with the values Mosaic promotes of success through diversity, confidence and innovation. 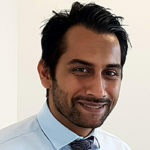 Varinder is the Managing Director of We-Q Collaborative Intelligence, which works with leadership teams to improve their collective effectiveness and build robust organisational culture. 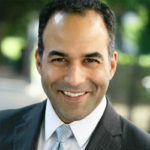 Previously, he has lead a strategic planning and project management group in Marks and Spencer and also has experience across diverse industries and complex international environments as a business operations leader. He is an alum of the London Business School with a general interest in increasing competitive advantage through the integration of more sustainable processes into an organisation. Zishan started his Mosaic journey as a mentor. He could relate to the objectives of the Enterprise Challenge through his upbringing in a council estate in North London and a desire to give back and try to help younger individuals that may benefit from being mentored. Zishan was subsequently asked to join the London Regional Leadership Group and is an active member of more junior BME staff at EY. Zishan is a qualified accountant and has worked in professional services and leading financial institutions over the past 14 years, the bulk of his experience has been gained as an auditor with EY (formerly known as Ernst & Young), working primarily with mid-market, privately owned entrepreneurial business, private equity backed businesses and companies listed on the AIM and main market of the London Stock Exchange. Zishan also spent three years working abroad in the Middle East within the EY network, working with leading global organisations and businesses patroned by a local Royal Family. Naheed has been actively involved in mentoring programmes with the charity Mosaic since 2012, She is Vice Chair of the London & South East Regional Leadership group, has been a member of the steering committee for Mosaic Associates Female Entrepreneurs Network. An advocate of conscious leadership and the power of collaboration, she qualified as a solicitor in the early 90’s, practicing in human and civil rights. She is co-Founder and CEO of Contracts IT Recruitment Consulting limited. Naheed Afzal is bringing women and minorities to the forefront of technology. Her award winning business powers innovation through tech diversity linking excellent technologists with some of the most innovative companies in the world. Her passion for influencing and inspiring is not limited to her working environment and has grown organically as a young lawyer providing pro-bono legal assistance to women`s refuge’s & assisting women sheltering from abuse and violence. A keen supporter of gender diversity and empowering women and young children, she is a Tech London Advocate (a private sector led coalition of over 4000 expert individuals from the tech sector committed to championing London’s potential as a world-class hub for tech and digital businesses). She is the UK Advisor for The Wonder Women Tech Foundation US, supporting and promoting Women and minorities in STEM, she is an Enterprise Mentor for Generation success, a not for profit organisation that is an inspiring network advancing social mobility. 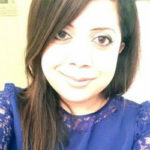 Roohi Hasan is a Senior Producer working at ITN for ITV’s National News programmes. Roohi started as a Mosaic mentor five years ago, first at primary then secondary school level, as well as speaking at and compering their events. She joined the RLG last year. 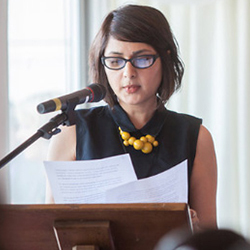 A keen advocate of social mobility, Roohi has mentored for the Media Trust and other schemes, as well privately mentoring in her spare time. Having been discouraged on her career choice by her school and community for respectively claiming it was too difficult and unsuitable, Roohi still went on to fulfil her dream. She is now passionate about supporting other young people aspiring to gain entry into this industry and other professions, especially those from disadvantaged backgrounds. She landed her first job at ITN soon after graduation after securing years of unpaid work experience whilst at school and university. 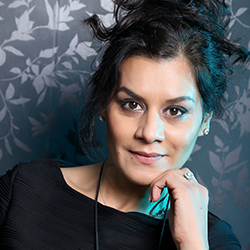 Roohi’s journalism at ITN has taken her around the world and received a number of accolades over the years including her series about the impact of the Afghanistan war here in the UK being shortlisted for a prestigious Broadcast Award in 2013. Last year, with the Prime Minister also in attendance, she was presented with an award for Excellence in Media by the Attorney General at the Muslim News Awards for her role in some of the network’s coverage of key national and international events including the death of Nelson Mandela. Roohi also won the Asian Women of Achievement Awards in the Media category very early on in her career at ITN for rising up in the competitive world of broadcast journalism. Nageen Faruqi has been a mentor with Mosaic since 2014 and became part of the London and South East Regional Leadership Group two years later. She has mentored across the Primary, Secondary and Enterprise Challenge programmes and her love of working with children in the classroom has led her into a new career. Nageen is now a mindfulness teacher passionate about helping both children and adults to be better equipped to deal with the challenges life can bring. Prior to this Nageen studied Economics at King’s College, Cambridge, she is a qualified accountant and worked as a management consultant for 12 years. She lives in Northwood with her husband and two children.